The Greater London Pest Liaison Group is a voluntary group, comprising pest control departments from local authorities within Greater London. Membership is by subscription and is restricted to local authorities from within Greater London. 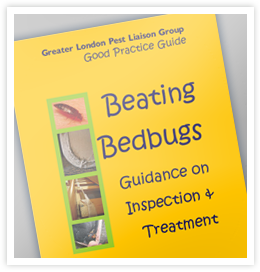 The objectives of the GLPLG are to share, exchange and to seek technical information relating to pest control issues and to maintain high technical standards of pest control within Greater London. Whilst much of the contact within the group is restricted to members, the Group recognizes that in some situations the information collated within the group may be of interest and value to a wider audience. In these cases the GLPLG is happy to release such information through "Good Practice Guides". To download Our "Good Practice Guides" go to Publications section.